It also regulates food intake, glucose metabolism, etc. Hormones are very tiny chemicals present in your body but they play a major role in maintaining your health. These hormones control how your body works and responds to the environment. Estrogen is one such hormone. Our body produces three different types of estrogen, including estradiol, estrone and estriol. Estrogen in the body is responsible for the growth and development of your reproductive anatomy and impacts your menstrual cycle. It also regulates food intake, glucose metabolism, body weight and insulin sensitivity. A low estrogen level can lead to the thinning of the tissue in the urethra, which increases your chance of developing urinary tract infections (UTI). UTI is an infection in the urinary system and it is caused by microbes such as bacteria when they overcome the body’s natural defence inside the urinary tract. Estrogen is a hormone responsible for menstrual cycle and a low count of estrogen in the body can lead to irregular or missed periods. Estrogen is directly linked to mood disruptions, which occur only in women. 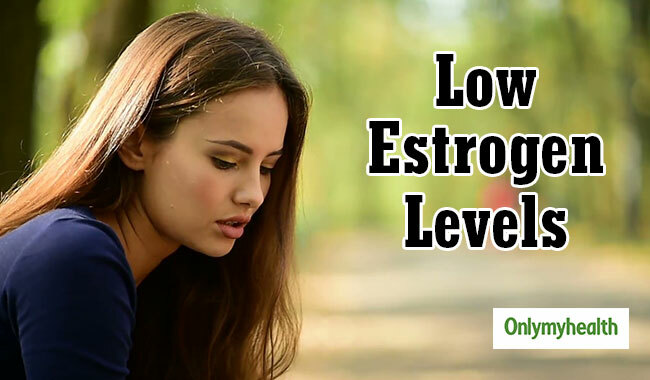 Various studies have shown that decreases levels of estrogen, which can lead to depression, anxiety and other major mood swings. According to a study conducted by Washington University School of Medicine show that low estrogen level can increase the risk of developing osteoporosis. Hot flashes often happen during menopause due to a low estrogen level. Maintain a healthy weight: Being overweight or obese can decrease the level of estrogen levels, so it is essential to maintain a healthy weight. Do not exercise too much: It is good to exercise a little but exercising too much can also be harmful as it can cause a decline in estrogen production. Eat enough protein: Diet plays a pivotal role in balancing your hormone. An adequate amount of protein balances your estrogen levels. Drink hydrating fluids: Drink clean and filtered fluids regularly to detoxify the body and regulate the production of estrogen. Healthy eating: Eating healthy is one cure for all your diseases. It is the food that you take in which shows on your body. Eating a healthy diet is important to keep your estrogen levels in check, including other hormones. For more related articles, downlaod OnlymyHealth app.